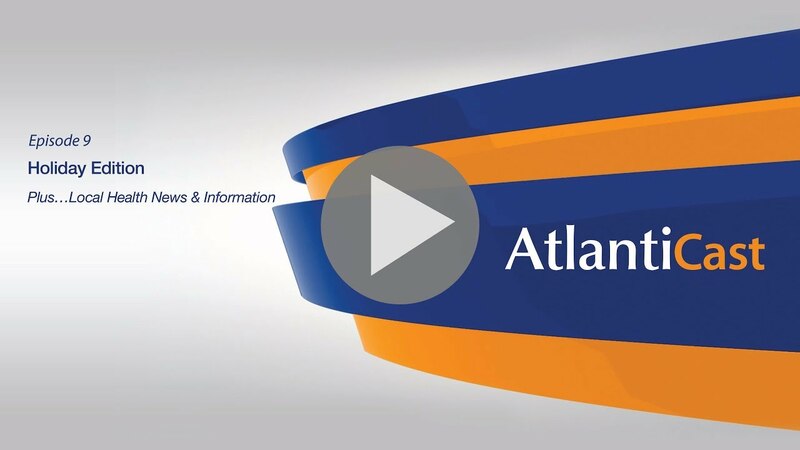 On this week’s AtlantiCast, see a special holiday edition, featuring several of the year’s many stories from around Atlantic Health System in 2017 – from national awards and recognition for clinical excellence to advances in the life saving care being provided each day across our system. to the holiday edition of AtlantiCast. We begin back in the first months of 2017.
for the ninth year in a row. As we shared, originally, on a Facebook Live announcement. and The American College of Surgeons. more than a century in the making. on DeHart Street on to the town to start the hospital. 2017 was a transformative year for Atlantic Health System. and fitness and audiology services. cognitive and learning impairments, and many more. For added convenience, valet parking is available too. has helped create a brand new emergency department. on the severity of their condition. up to shorter wait times and easier access to care. the October sky this year. Air Three made the transfer. to reduce anxiety for children. This is the only center of its kind in northern New Jersey. at Goryeb Children's Hospital is available too. helped raise $600 thousand to support construction. Atlantic Health System team members. served as honorary captains at a Jets home game this year. warm ups using Vgo robot technology. with patients , parents, and staff. to find new ways to solve tomorrow's healthcare challenges. between Atlantic Health and its workforce. You can learn more about AHA at atlanticast.org. Brian Gragnolati, as its Chair-Elect Designate. and become the Chairman in 2019.
in New Jersey, and across the nation. moments at Atlantic Health System. our caregivers, and the communities we serve. just a handful of those amazing stories. and proud to share with all of you. To see them you can find a link at atlanticast.org. so special and for allowing us to share your stories. We look forward to joining you for a great 2018.